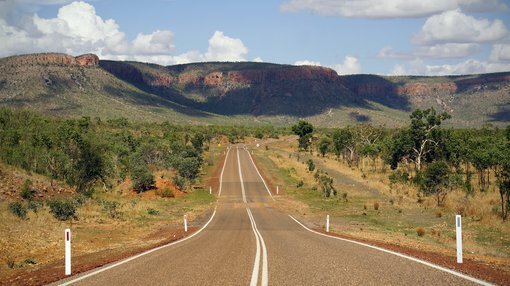 West Australian junior explorer, Pacifico Minerals (ASX:PMY) is in the process of completing the acquisition of a 75% interest in Australia’s largest undeveloped near-surface lead-silver-zinc deposit, the Sorby Hills Project in WA. The company today released a presentation to the market outlining the highlights of Sorby Hills and details of the acquisition. Sorby Hills has drawn favourable comparisons to Galena Mining’s (ASX:G1A) world-class Abra Base Metals Project. Like PMY, Galena intends to develop its own Western Australian lead-silver-zinc project, Abra, as a high-grade, high-margin mining operation. And like Sorby Hills, the Abra deposit was discovered decades ago now looks increasingly attractive in today’s pricing environment. One key advantage that PMY has over Galena is that the Abra Project is underground, whereas Sorby Hills is only 20m from surface. Sorby Hills is also further advanced, with a pre-feasibility study completed December 2012. That said, Galena’s market cap is currently significantly above that of PMY, at around $41.6 million compared to just $7.9 million for PMY, at a 0.5 cent share price. In late August, PMY completed a share placement, raising $1.28 million to fund the acquisition of Sorby Hills and undertake an accelerated exploration program, as well as for general working capital purposes. In addition to Sorby Hills, today’s presentation also touched on its wider asset portfolio that spans Australia, plus North and South America. This included an overview of the Violin gold-copper project and information on the Coaxtlahuacan prospect, where a diamond drilling program is planned for October-November. PMY secured an option to purchase a 100% interest in the Violin Project, located in the Guerrero Gold Belt of Mexico, earlier this year. The Guerrero Gold Belt is home to several pre-existing multi-million-ounce gold mines and developing projects of this style of mineralisation. Two of these — the Los Filos and El Bermejal open pit mines, owned by $560 million-capped Leagold Mining Corp (TSE:LMC) — are some of Latin America’s largest gold mines. Like these, the Violin Project area offers outstanding potential for a large and significant gold-copper deposit. Within the Violin Project, the Coaxtlahuacan Gold-Copper prospect is the most advanced prospect, and has demonstrated strong similarities to the Los Filos/ Bermaja style and scale of deposit. As for the company’s Colombian operations, PMY recently flagged that it is in negotiations with several major miners and developers regarding a potential acquisition or joint venture of its Colombian copper gold projects.